This review originally appeared in the print edition of Rain Taxi in the fall of 2010. I didn't realize until I read this post at Africa is a Country that the book was being made into a film starring Forrest Whitaker and Orlando Bloom. I wrote as restrained and fair a review as I could; I hated the book. But since the movie is coming out, perhaps this review is of interest. 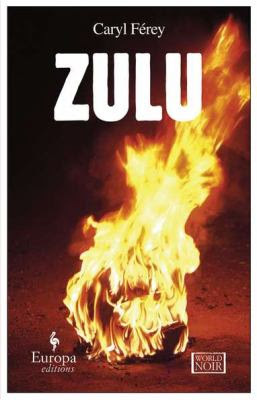 French writer Caryl Férey's Zulu isn't likely to win any awards from the South African Department of Tourism, for though the novel is as full as a guidebook with information about the country's history and culture, the story it tells is a relentlessly brutal one, and the South Africa that emerges from the narrative is a place of chaotic violence, rampant drug traffic, densely-populated slums rife with doom and disease, and corruption bursting from every level of society. The brutality is barbaric and it is pervasive. Hardly a chapter goes by without some sort of mutilation occurring. Whether the violence is overplayed will depend on each reader's tolerance, but the ultimate effect -- numbing, frustrating any sense of progress -- may be exactly what Férey intends. The police work through their procedures, but the point gets lost, because justice is impossible in a world of short-sighted greed and vicious, infinite regressions of revenge. Pointlessness is the feeling that Zulu conveys most strongly, triggering a growing urge for nothing so much as an escape from this world where the greatest achievement is simply to stay alive one more day. Zulu doesn't give the reader much to do. We are passive consumers of information and passive observers of violence. Everything is explained, to the absurd extent that when when one of the characters is bluffing with information we already know he doesn't have, Férey adds a one-sentence paragraph: "He was bluffing" . This obsession with explanation makes Zulu an easy enough book to read, since it requires little effort on our part, but for a reader who desires to be anything other than a receptor of information and narrative, the effect is pedantic and stultifying. The novel's greatest fear seems to be of an audience that is confused for even one sentence. The constant explanations extend to cultural and historical information about South Africa -- explanations, presented in frequent expository chunks and numerous footnotes, aimed at an audience ignorant of South African history, cultures, and languages. The effect is exoticizing, as if South Africa is foreign to all readers, and as if all readers need every potentially foreign element explicitly explained. This obsession with explanation makes Zulu an easy enough book to read, since it requires little effort on our part, but for a reader who desires to be anything other than a receptor of information and narrative, the effect is pedantic and stultifying. Zulu has been translated from French by Howard Curtis, and it is impossible to know without checking it against the original which elements of the writing belong to Curtis and which to Férey. The dialogue is the most skilled writing in the book, fluent and convincing in its realism. The prose is otherwise undistinguished -- functional, inconspicuous, sometimes clumsy in its repetitions or rhythms, and filled with verbs in the past progressive tense where simple past would be more powerful. The characters are familiar types, despite the exoticization of the setting: grizzled, macho cops with little ability to relate to women or sustain relationships with anybody; nasty gang members; scheming, greedy, upper-class baddies. It's difficult to summon much concern for these characters, and so when they are tortured and killed our revulsion comes from the details of the violence rather than from a desire for particular people to remain happy or alive. In the end, Zulu is exhausting and depressing. The compelling and intense scenes of violence are not enough to sustain the last half of the book after we have realized that nothing in the novel can come to any good. The engines of plot continue to pump their pistons, but they only power a facile nihilism. "How Far to Englishman's Bay"